As IoT continues to advance, smart cars appear to be the new frontier. Here are seven tech trends that could reshape the in-car experience. In case you haven’t heard: big things are coming to the Internet of Things (IoT) space in 2018. IoT technology — and the data and insights it produces — could completely change the way companies do business and the solutions they deliver. That evolution will impact almost every industry, from retail to healthcare to financial services. But what does it mean for consumers? In the coming decade, IoT will continue to change the way we interact with the world around us. Smart phones and smart homes aren’t anything new, but ever-evolving technology will transform existing solutions (and create opportunities for solutions that we haven’t yet imagined). Smart cars, on the other hand, represent a completely new frontier. Sure, we already have backseat screens and self-driving technology — and of course, the option to mount and connect our devices to our cars. But soon, we’ll begin to think of our cars as devices themselves. In fact, experts predict that 94 million connected cars will ship in 2021, and 82% of all cars shipped will be connected with IoT-based devices. In the next 10 years, we can expect IoT to transform the auto industry, and to integrate seamlessly to reshape our in-car experience. While many of these technologies are still being conceived and developed, there are some real strides being made today that will pave the way for the future. Voice applications like Siri and Alexa already have a major presence in the home and on mobile devices, and without a doubt, cars will be next. When people are busy watching the road and steering their cars, voice can be an effective way to interact with computers. Alexa, Android Auto, Apple CarPlay, and more assistants are already being built into cars. In the next five years, more and more cars will be built with voice capability. In the past several years mobile data coverage has improved dramatically, giving way to GPS as a utility. We expect to see where we are on a map in real time with reasonable accuracy. Now that U.S. cellular carriers all offer unlimited data plans, GPS data streams can become a key piece of a data supply chain. Uber and Lyft provide millions of rides per week. As these ride sharing platforms mature, new opportunities will arise for products and services to be built on top of them. APIs for Uber and Lyft open up possibilities for developers to conchttps://developer.uber.com/docs/riders/ride-requests/tutorials/api/introductioneive new applications for both enterprise and consumer segments. 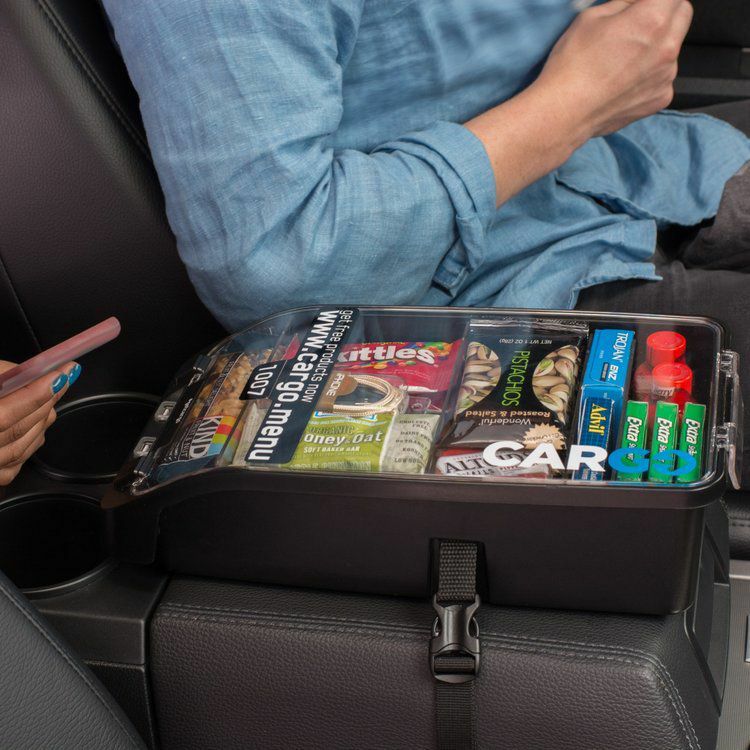 For example: Cargo turns an Uber driver’s center console into a vending machine, while Vugo advertises to passengers. In-car touch screens are becoming standard in mid-level cars, and backseat screens are already present in minivans and luxury cars. As digital-out-of-home (DOOH) advertising continues to explode — with smart billboards appearing on city streets, transit stations, and even on taxi tops — there may be opportunities for interactions between all of these devices that will ultimately create new categories. Similar to online advertising bidding, there could be billboard bidding based on data about the people in the cars who drive past the ad. Consumers tend to spend more money when they don’t have to pay at the time of service (a fact that hotels and all-inclusive resorts know well). When it comes to payment, consumers increasingly value convenience and speed. Pulling out your wallet is starting to feel archaic when you could easily pay with your phone. Starbucks already offers mobile pickup, so it’s not much of a leap to think that one day soon you’ll be able to order a latte from your car’s dashboard touchscreen. The mobile nature of cars means they may not always have the time or connectivity to reach the cloud. This can be solved with edge computing. Cars already contain significant processing power, which will only become more advanced with the growing popularity of self-driving cars and their need to process and act on sensor data instantly. Edge computing can bring cloud capabilities like business logic and machine learning to cars. The products and technology that will be born out of these trends will become even more powerful and life-changing as they converge, mutually reinforcing each other. For example: imagine you pull into a gas station for a fill up. Your car’s GPS detects that you are near a service station, and promptly runs a diagnostic report. Alexa lets you know that your air filter needs replacement and that there’s something wrong with your transmission. 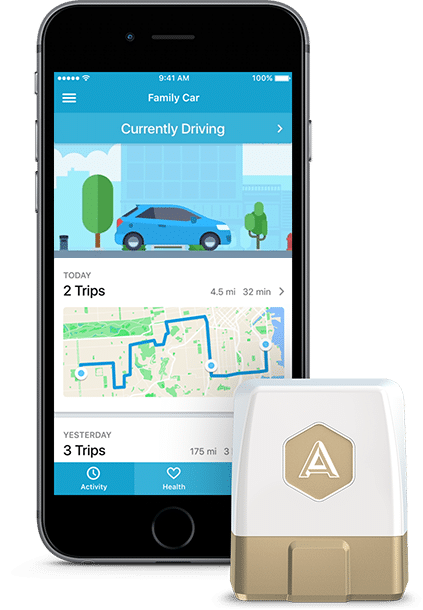 You open an app on your dashboard and see a real-time view of your transmission and diagnostics — and now you (and your car) are ready for a conversation with a mechanic. Or maybe you and some friends share an Uber for a night on the town. The backseat screen invites you to play a quick trivia game for Uber credits. You press play and suddenly your friends are shouting over each other to answer questions. During the game, you see a funny commercial about a new bar that just opened next to the restaurant you’re headed to — so you tap the tablet to learn more and get a promo code for two free drinks. Of course, with any new technology, there are barriers to overcome. The key will be finding ways to ensure that open platforms and integration options benefit both the consumers and the companies delivering these innovative solutions.